Power to Change and Social Finance are jointly publishing a report on how Local Authorities can provide financial support for community businesses – and we want to hear from you! We want to identify best practices, share learning, and provide commissioners with actionable recommendations as to how they can best support local community businesses and achieve social impact. But what do we mean by community business? Community businesses are; rooted locally, trading for the benefit of the local community, accountable to those they serve, and benefit their community as a whole. They can take on many forms, from Community Shops and associations, to local community transport companies. They also face the same financial difficulties as ‘traditional’ businesses. But as community businesses play a crucial role in community cohesion, it is in everybody’s interest to help them thrive – and some Local Authorities have stepped in and done just that. 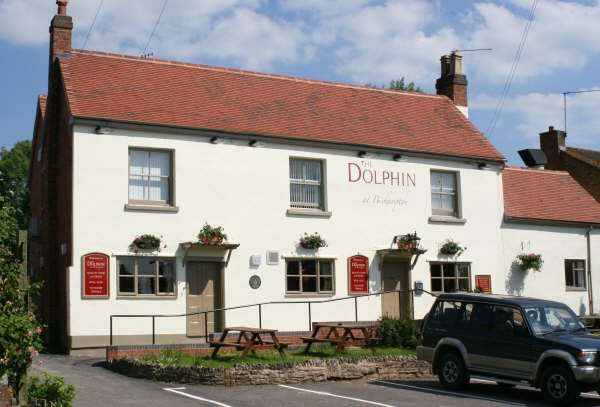 A great example of this is The Dolphin Pub in Bishampton, Worcestershire. After it closed down, the local community applied to have Bishampton and Throckmorton Parish Council use its powers to grant the pub ‘Asset of Community Value’ (ACV) status, and asked for advice on how they might buy the pub. The Council, suggested that it could play the role of investor, and buy the pub using funds from the Public Works Loan Board. Their application for £300,000 received unanimous support and was ultimately successful. The main requirement for securing the loan was a robust business plan, which demonstrated how the pub would pay back the loan with or without a tenant. A tenant signed a 15-year lease, and the pub is once again a flourishing part of the local community. Its not just Local Authorities, and community business in rural areas that have benefitted from new financing models – cities like Hull have been the site of innovation as well. Take for example the Goodwin Development Trust – a community business employing 200 local people in Hull. The Trust offers a full suite of services, including: Children’s Centres and Nurseries, a state-of-the-art Conference Centre, a Community College, Disability Care Facilities, Sports pitches, a Youth & Arts Centre, Performance Space, and Meeting Rooms, – with further investment planned for the coming year around the construction of the city’s first social eco-housing. The Hull City Council offered the Trust a loan at a fixed 3.5% interest rate for 30 years so that they could break ground on the housing development, which will provide more than 40 new homes to the community. Typically, Local Authorities do not see themselves as investors – but why not? They are one of the largest stakeholders to local businesses, and commissioners are continually looking for innovative ways of driving social impact; particularly attractive where capital can be repaid! As traditional forms of financing – grant funding – is drying up, some Local Authorities are considering other options such as loans, or equity participation, to achieve social and economic objectives. With their preferential financing options, Local Authorities could be playing a much larger role in backing their local community businesses given the local value they generate. We are interested in those ‘traditional’ approaches, and other ‘finance-like’ support for community businesses, including supportive asset management, legal structuring support, or commissioning for public value, and innovative partnerships. So, what other examples of Local Authorities supporting community businesses are there? Are there examples of Local Authorities that tried to help but weren’t able to do what they set out to do? We think we can learn from both successful and less successful cases, to also look at how Local Authorities can use their financial fire power in new ways.